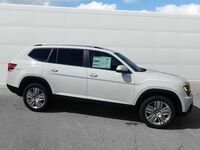 The Volkswagen Atlas has had a lot of hype surrounding it lately and for good reason. 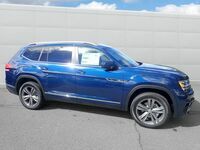 This midsize SUV is among the newest in its class and its suite of features and performance specs are beyond impressive. We’ll get into details below, but now we want to talk about model comparisons. We are here to put the 2018 Atlas up against the 2018 Honda Pilot, a formidable competitor. Both of these SUVs boast similar efficiency numbers as well as technological inclusions. Which one comes out on top? Check out our table below and keep in mind that the base models are the ones being compared. 2,000 lbs. Maximum towing capacity 1,500 lbs. 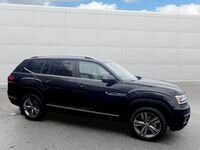 The pricing of these two SUVs is almost identical, yet the Atlas comes with noticeably more cargo space and a higher trailer weight. 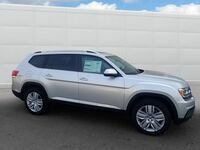 Both vehicles come with a third row of seating which is great for drivers with larger families. 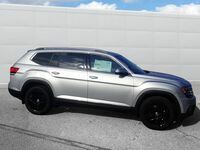 The 2018 Atlas comes available with a hefty 3.6-liter V6 engine powered by 275 horses. VW 4MOTION all-wheel drive is also available to give drivers that much more control on the roads. 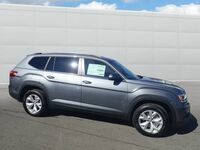 Available interior and technological features include Apple CarPlay, Android Auto, MirrorLink, Fender Premium Audio, adaptive cruise control, and the Volkswagen Digital Cockpit. 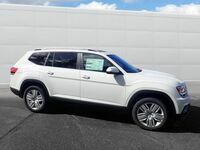 Come on down to Dirito Brothers VW to check out the 2018 Atlas for yourself. We will tell you everything else you need to know, and we can let you take it for a spin so you can experience all of the power firsthand. We hope to see you soon!